Practical and fashionable. 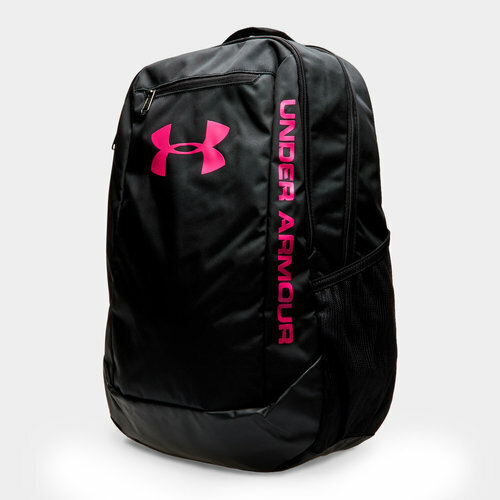 Pack all of your training and gym essentials or your school belongings in this Under Armour Hustle LDWR Backpack in Black, Black and Tropic Pink. This bag contains a soft lined laptop sleeve which can hold up to to a 15" laptop making it perfect for college or school. The pocket on the front of the bag is water-repellent meaning that any valuables in it are protected against elements or spillages. On the side is a water bottle pocket allowing space for extra belongings in the main compartment of the bag whilst the adjustable HeatGear shoulder strap provides extra comfort.